The man who shot dead Wentworth mother, Bianca Parsons has been given a life sentence by the Durban High Court. Darryl Murrisson has also been sentenced to a further 20 years for attempted murder and possession of a firearm. His accomplice, Christopher Housten, who was found guilty of being an accessory to the murder, has been sentenced to 10 years imprisonment. Parson's husband, Orson took the stand earlier to testify in aggravation of sentence. The Parsons family was left in tears as Orson spoke about the impact that his wife's death had on him and his loved ones. He says the couple's now 4-year-old daughter, Blair still keeps the family up at night -- yearning for her mother. Orson described Bianca as being loving, selfless and a good mother and wife. He said they had been planning to travel abroad but that dream came to an abrupt end. Judge Esther Steyn said during sentencing that a little girl has been left without a mother. 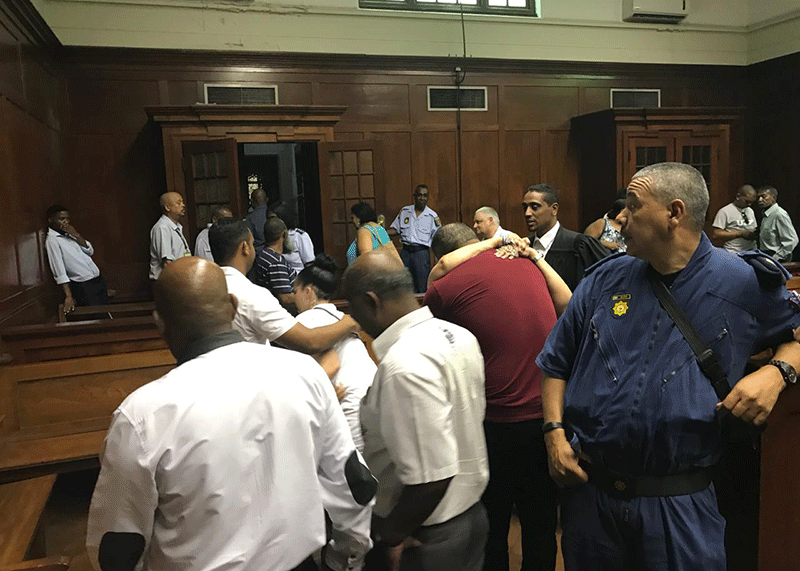 Steyn told Murrisson and Housten that they have caused great pain to the Parsons family, adding that the 32-year-old was robbed of her life. She believes that Murrisson, the gunman, has not shown any remorse for his actions. As for Housten, Steyn says his contribution to Bianca's death was not insignificant. The Judge said she believes he was directly involved in her murder. Bianca was shot dead at a petrol station south of Durban last year. Police believed she was gunned down in a case of mistaken identity. The State argued that Housten, who had maintained his innocence throughout the trial, had orchestrated the shooting. Both Murrisson and Housten kept straight faces as Steyn sentenced them. They then disappeared back into the holding cells. The Parsons family was left in tears and hugging each other after proceedings wrapped up.